The hoodoos of Bryce Canyon National Park glow in the warn late afternoon sunset. Ironically Sunrise point is one of the better locations in Bryce Canyon National Park to shoot at Sunset. 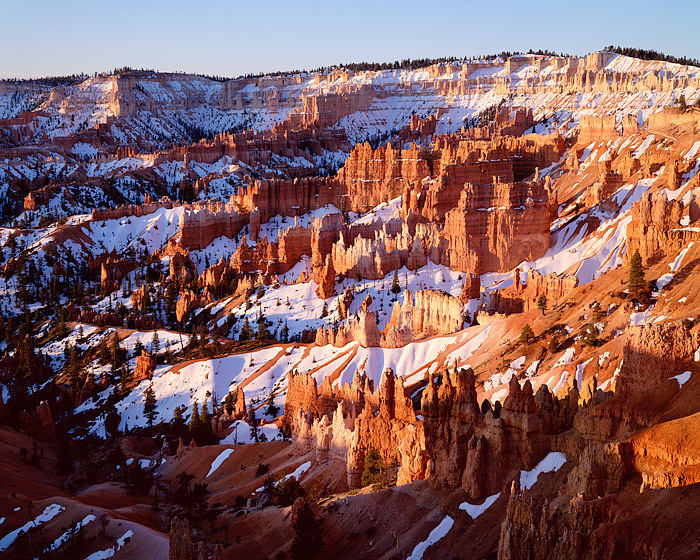 Previous Utah snows cover the ground around the hoodoos and spires and Bryce making for an interesting contrast of light and shadow. Photo © copyright by Thomas Mangan.